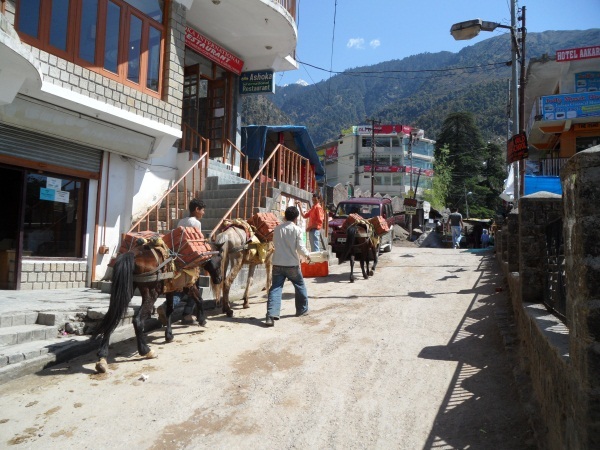 It also became the venue for our worst hotel to date, so bad that we refused to eat there and checked out early, escaping into the main hubbub of the town centre in search of breakfast, stumbling in a homely Tibetan cafe. As well as the usual fare of fried eggs, we also tried the Tibetan tea and bread. Verdict: tea is salty and gross, bread is like a delicious soft doughy muffin. Given it’s fame, the town is pretty touristy, but the westerners here are different to elsewhere in India– more like stereo-typical hippies immersed in new age Buddhism. They appear as walking market stalls with bits of knitted stuff draped and hung all over looking just a bit too unwashed, with straggly hair, and far too many shaved and pierced bits. They have gone too deep! None of the Indians would be seen dead wearing what they wear. A visit to the museum was also essential on the tourists route. 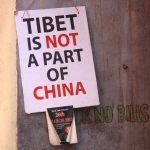 It may be one sided, but the picture is pretty clear, the Tibetans are being seriously repressed, the culture being destroyed and thousands of years of history systematically eradicated. It is something akin to the damage in Vietnam in the war, or earlier invasions where centuries of history and culture are destroyed, but it is happening now. We left with that stomach churning feeling; partly through the waste of the heritage, but more from all the photo’s of the immolations, some as recently as a couple of weeks ago in Delhi. They don’t spare any details and the burning figures and peeling blistered faces are posted up on all the walls and posters through the town. 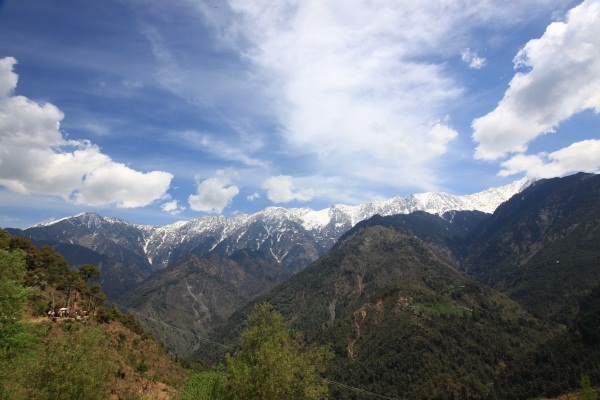 So with Dharmshala you get two sides, the serene beauty of the Himalayas, with mountains unimaginably steep soaring into the sky above you, the Buddhist visions and flags flapping in the wind; and you get a taste of the politics and pain in the little country of Tibet not too far away. Hopefully one day, it will be famous for just it’s views.